Nearly two years have passed since Mr Eazi found his way into the Nigerian soundscape with a fusion of Ghanaian and Nigerian sound, without blurring the lines. “Skin Tight” might have ear-marked him as the new wave of Afropop but it’s earlier features like DJ Spinall’s “Ohema” that helped him to firmly cement his place as an artist with a diverse set of skillset. The Ghanaian Nigerian singer has teamed up with DJ Spinall yet again for “Calm Down”. But instead of replicating the Afropop hit, they go for an Afrobeat aesthetic that you simply can’t go wrong with. Just like he had on “Ohema”, Mr Eazi starts by asking DJ Spinall for the beat and it turns out it’s a mid-tempo one with piano baseline supported by trumpet samples. While “Calm Down” is not the most laid-back we’ve heard Mr Eazi with noisy drums and loud trumpets, his song writing is more carefree. The dance number allows him to discuss how far he has come since crossing into Nigerian music industry heralded by Wizkid’s co-sign. And as is typical of a popular artist, he can get away with a more introspective narrative, advising himself not to let the fame get to his head; “Eazi, Calm Down/ Sey Jeje/ Ma Lo Sey Gragra/ Ma Lo Sey Bi Oya”. But despite the strong production on “Calm Down”, it listens like watered down Mr Eazi. His obsession with his successes give the impression that he’s just as surprised as everyone else at his music’s acceptance. Last year’s “Ohema” snuck up on enough folks to capture the pop zeitgeist and there’s really no reason why “Calm Down” won’t do the same. Especially with his sample of Chief Ebenezer Obey’s “Aimasiko”. 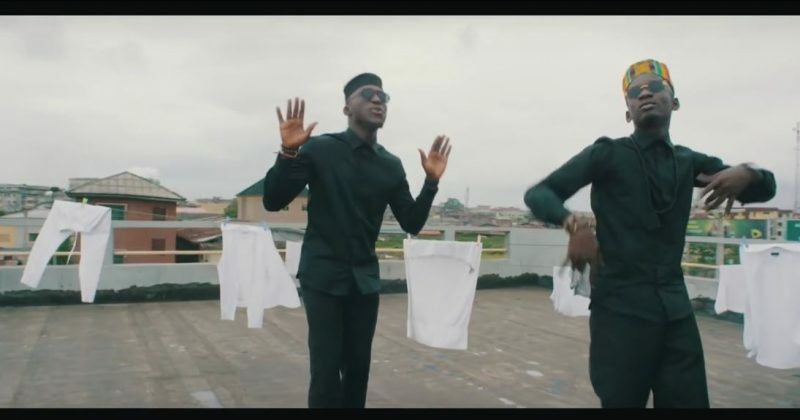 Stream “Calm Down” by DJ Spinall and Mr Eazi below. Next Article Should we expect a Wizkid and Damian Marley collaboration?